Surgically sharp blades glide through heavy stitches. Curved blade ends won't poke or tear fabric. 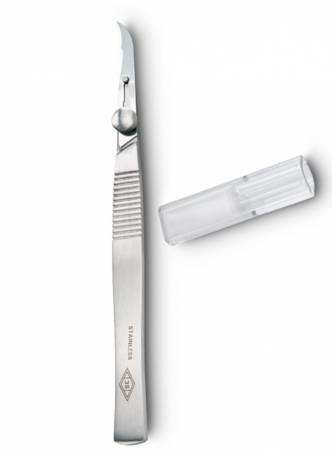 Includes one handle & 5 blades, which replace easily with the stainless steel screw-lock handle.